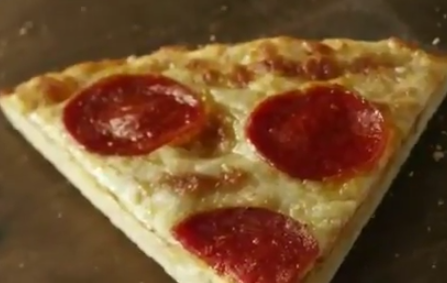 How rare is it for pizza to look gross in a commercial? I'd like to preface this by saying that in my mind, even the worst pizza is still pretty good. However, when I saw this Red Barron ad the other day, I was shocked by how not good their pizza actually looks. Food almost always looks great in commercials. Advertisers tend to find ways to make even the crappiest stuff appear appetizing. But in this case, it just looks like cheap, frozen pizza. I'm not saying I wouldn't happily eat cheap, frozen pizza, I just think they might want to rethink their marketing strategy.